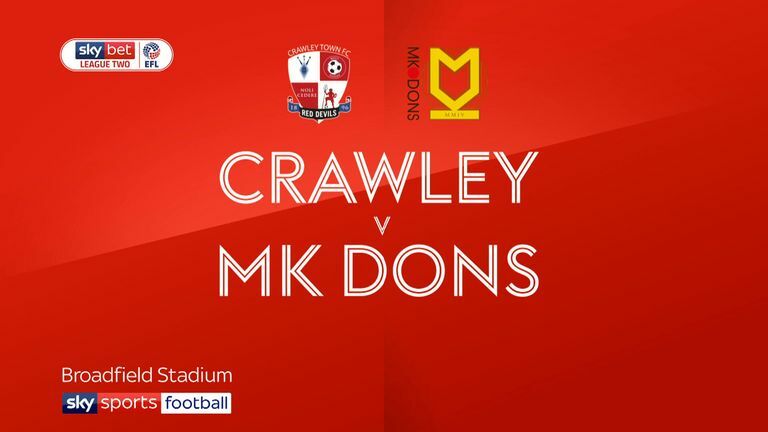 Highlights of the Sky Bet League One game between Crawley and MK Dons. 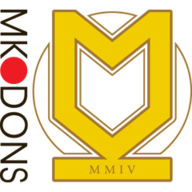 Rhys Healey scored twice and set up the other two as MK Dons strengthened their promotion bid with an impressive 4-0 win at Crawley. The Dons have scored in every league game since the opening day of the season and Healey gave them the perfect start after only seven minutes from Dean Lewington's cross after Lewis Young gave the ball away. Kieran Agard doubled the advantage on 18 minutes from close range after keeper Glenn Morris blocked a shot from Healey. Healey was twice denied by Morris before making it 3-0 in first half stoppage time with a shot on the turn from Agard's cross. 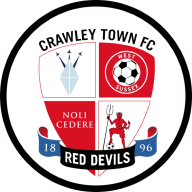 Crawley top scorer Ollie Palmer threatened shortly after the break when, from a cross by Joe Maquire, his header was parried by keeper Lee Nicholls. But top scorer Aneke got in on the act for the visitors to add a fourth goal on 63 minutes with a shot off the post after Healey pounced on a mistake by Mark Connolly.